A regular update on waste issues and how they affect you from the UK’s No.1 provider of waste management services to the printing industry. In this issue: J&G celebrate a decade as part of the UK’s leading waste management group, JAG Products success, and John Haines marks 10 years as J&G General Manager. A regular update on waste issues and how they affect you from the UK’s No.1 provider of waste management services to the printing industry. In this issue: JAG Products warehouse expansion, JeeGee animal bedding, IPEX, history of waste management, annual waste disposal compliance certificates. A regular update on waste issues and how they affect you from the UK’s No.1 provider of waste management services to the printing industry. In this issue: New wash plant; JeeGee animal bedding; New contracts for J&G; JAG Products; Annual waste disposal compliance certificates; New warehouse. A regular update on waste issues and how they affect you from the UK’s No.1 provider of waste management services to the printing industry. In this issue: JAG Products; Annual Waste Disposal Compliance Certificates; Our 30 year Anniversary; New contracts for J&G; Safety Seminars; iPIA Sponsorship. A regular update on waste issues and how they affect you from the UK’s No.1 provider of waste management services to the printing industry. In this issue: JAG Products launched; Green Apple Awards Winner; ISO 14001 information; Big Bash event sponsorship; Fraudulent waste collectors; New contracts for J&G. A regular update on waste issues and how they affect you from the UK’s No.1 provider of waste management services to the printing industry. In this issue: Landfill Tax increases; JeeGee recycled animal bedding; Carbon Trust Waste Standard; Investors in People; iPIA event sponsorship; New contracts for J&G. A regular update on waste issues and how they affect you from the UK’s No.1 provider of waste management services to the printing industry. 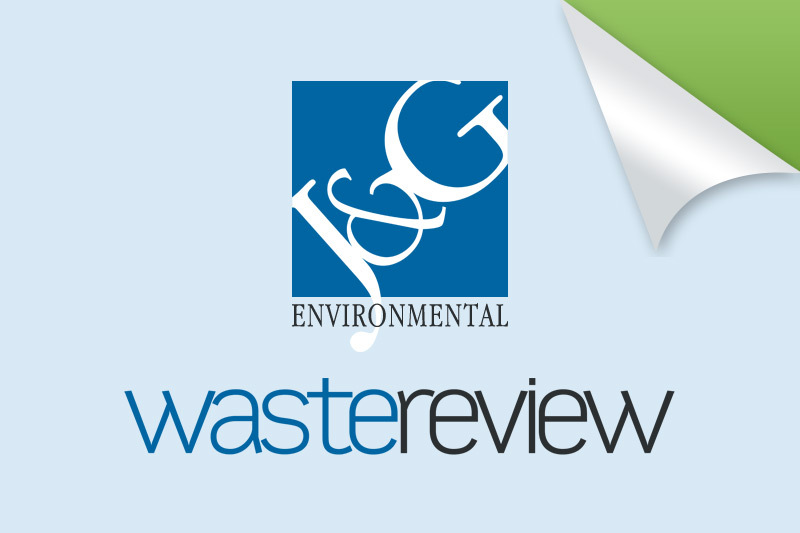 In this issue: New waste transfer station; New contracts for J&G; BPIF Awards win; New customer care staff; Print Efficiently exhibition; Green Goals project; Corporate clothing recycling. A regular update on waste issues and how they affect you from the UK’s No.1 provider of waste management services to the printing industry. In this issue: Waste audits; CIWM Awards win; Landfill Tax increases; J&G named as Kodak Sustainability Partner; iPIA Awards sponsorship; BPIF Awards; Annual Waste Disposal Compliance Certificate.